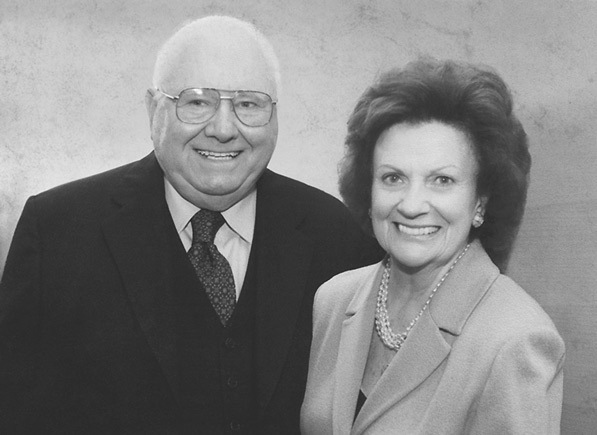 In honor of her late husband, insurance executive and philanthropist John J. (Jack) Byrne Jr., Dorothy Byrne of Etna, N.H., has committed $20 million to help Dartmouth attract and support the finest math students and professors. “With this remarkable gift honoring Jack Byrne, a longtime and beloved benefactor of Dartmouth, the College will attract exceptional new scholars who will apply math to important societal issues,” says President Phil Hanlon ’77, himself a mathematician. “The gift’s enrichment grants will draw the very best mathematics students to Dartmouth, and will enable productive faculty-student partnerships in research and learning both inside and outside the classroom. “All of this, in turn, will bring national attention to our innovative work in this important field, and it will help Dartmouth cultivate students who share Jack’s passion for mathematics,” President Hanlon adds. The naming of 32 (eight per class when the program is fully in place) Byrne Scholars, undergraduates who are eligible for enrichment grants to pay for independent study and special projects related to math. Those students demonstrating financial need will receive generous scholarships. The John J. Byrne Jr. Prize in Mathematics, a graduate fellowship valued at $35,000, awarded annually to an outstanding math scholar in the senior class. A faculty cluster of three professorships focused on decision science, the use of applied mathematics to build solutions to major societal challenges. The new positions are the Byrne Distinguished Professorship in Mathematics, the Byrne Distinguished Professorship in Decision Science at the Tuck School of Business, and the Byrne Professorship in Mathematics. Dartmouth has dedicated the Jack Byrne Undergraduate Commons at the John Kemeny Mathematics Building as a formal and informal meeting place for students and faculty. In all, the program will increase collaboration among the Department of Mathematics, the Tuck School of Business, the Department of Computer Science, and other departments across campus. The new faculty members will engage the Byrne Scholars—as well as other students and faculty—in high-level research addressing major global challenges. For example, faculty and students could develop mathematical models to better arm health care providers in their fight against epidemics, or financial models that could help keep Social Security on a sound footing. This new program builds on a rich legacy at Dartmouth as well as current strength. Sixty years ago, Professor John Kemeny and his colleagues had an enormous impact in the fields of mathematics and computer science—including creation of the BASIC programming language—and brought international recognition to Dartmouth’s Department of Mathematics. Dartmouth remains competitive in attracting top math students. With strong ties to the College and the region, the Byrne family has supported numerous Dartmouth-related programs and projects, including the Byrne Fund in Chinese Studies, the Norris Cotton Cancer Center, the Palliative Care Program at DHMC, grants for student public service projects at the William Jewett Tucker Foundation, and construction of Byrne Hall at Tuck and Byrne II, a residence hall in the McLaughlin Cluster. The Byrnes’ three sons, all Dartmouth alumni, established a professorship at Tuck in honor of their father, who served on the Tuck Board of Overseers from 1982 to 2000. An insurance industry pioneer, Jack Byrne studied at Rutgers University and the University of Michigan, where he received a master’s degree in mathematics. He began his business career as an actuary at Lincoln National Life and later served as executive vice president of Traveler’s. He became chief executive of GEICO in 1976, rescuing the company from bankruptcy and leading one of the most famous comebacks in insurance history. Warren Buffet, chair of Berkshire Hathaway Inc., one of GEICO’s biggest investors at the time, has described Jack Byrne as the “Babe Ruth of insurance.” Byrne was inducted into the Insurance Hall of Fame in 2009.